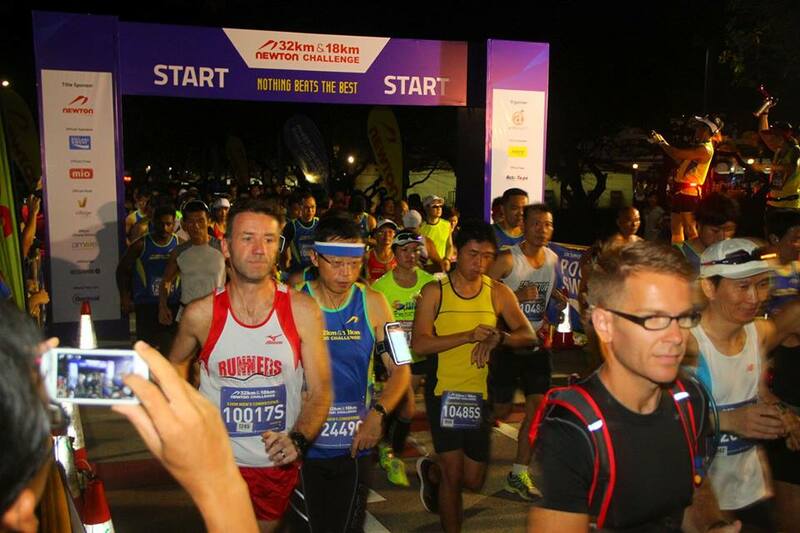 Race Review: Newton Challenge 2014 [32km] (by 'sinaistrider') | JustRunLah! Another Sunday, another early alarm. 0345 today, this is getting ridiculous! This time I slept on the sofa so as not to disturb Mrs Strider, and crept around the house very quietly to avoid the dog freaking out and barking at me. This seemed to work out OK and just before 4 I was out the door on my way to collect my usual race partner Shug. Today we’re off to East Coast Park for the Newton Challenge. 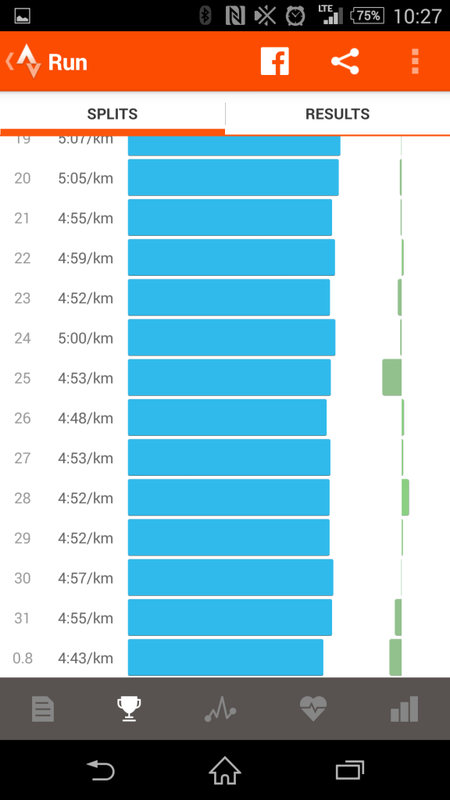 32k, a classic ‘pre marathon’ distance and that’s exactly what we (and most others I suspect) are using this race for, pre SCMS. Today’s plan is to do 5min/k pace steady for the whole race. SCMS target is 3:20-3:30 so if I can do this today without major disaster I know I am ‘in the ballpark’ as the Americans say. Last time I did a race of this distance would have been 2003, as a build up to my first London Marathon. In the UK, it’s a ’20 miler’ and my memory of that one was that it was freezing (UK early morning in March) and quite hilly. East Coast Park today is neither of those things. It’s flat as a pancake and it’s hot. I’m on a two gel strategy today (GU – courtesy of Neil, who kindly stepped in when I realised I didn’t have any at 7pm on Saturday night! – cheers mate 🙂 ), having had a banana in the car on the way over. Shug is going with the Camelbak full of iced Squincher, his race tipple of choice. Loads of cars on the Service Road, so we end up parking somewhere down by CarPark B1, meaning we have about a kilometre walk up to the start line. Quick bag drop and head for the starting pen. Wow – starting pen is really narrow and there are already loads of people in it. Shug and I push through as best we can but we get stuck a long way from the front. In fact, so far back we end up in the Second Wave ! That’s a new experience for both of us, but the plus side is we spend pretty much the next 2.5 hours overtaking people. Second Wave flag off is about 5 minutes after the first guys have gone, so probably around 7 mins after the first flag off. Since we aren’t racing today, this isn’t such a big deal, but it’s a good reminder to get there early when we ARE racing. We push our way through to the start line for wave 2 and quickly we are on our own. Wave 1 back markers are still 6-7 mins up the road, so we have the first 2-3k pretty much on our own. Slowly we start to pick up the wave 1 runners and by the first turn at NSRCC I am recognising the usual people I race against just ahead of me. 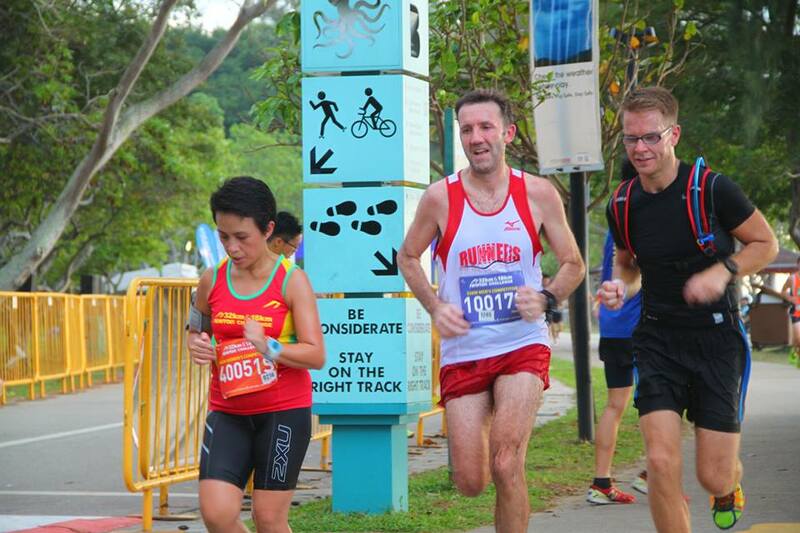 Heading back down the park on the Ocean side, nice breeze – here’s where we start to see the 18k front runners coming through – Lexxus Tan, the F1 coach is leading the 18k and already he seems to have about 500-600m clear space from the next runner. About this time Ming Ham (official F1 photographer) appears out of nowhere, sprints ahead of me, turns and takes a photo, then disappears again – haven’t seen that one yet – but I am sure it will be great. Round the loop and back up to NSRCC, we are still working our way through the field, chatting comfortably and holding this 5min pace pretty well (at this time ave pace was 5.05min/k). Into the last section of park up alongside NSRCC and all of a sudden several groups of rude road bikers appear, trying to ride at full pace down the middle lane of the park connector whilst hundreds of runners are in the inside and outside lanes running in opposite directions. This upset me a bit, because it was just unnecessary. 1) they could just chill out a bit for the 1 kilometre of their ride when they have to slow down a bit 2) surely as fellow athletes they could be a bit more gracious 3) its a well publicised large running race, so just go somewhere else if you can’t do 1) and 2). After shouting at the worst offenders, we make the turn at 22k for the last 10 back down to the finish. 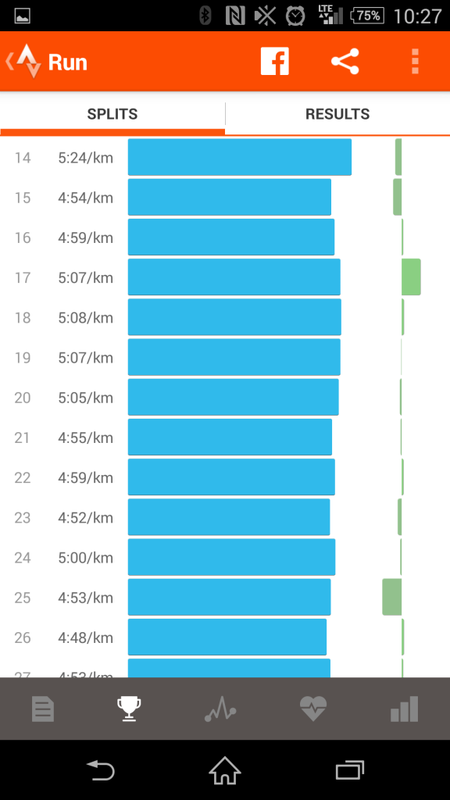 I had elected to wear my Mizuno Racing flats as another pre marathon experiment, previously I have done 1/2 mara in them with no problems, but this distance (more like this much time I think) they are not so good. By around 25-27k my feet are starting to feel quite sore, so I grind out the last 5k as quickly as possible to get finished. Crossed the finish line in 2hrs38mins, average pace 4.59min/k. Excellent pacing, spot on the target and a nice negative split. Felt great throughout and it’s given me (and Shug) a lot of confidence for the coming marathon. Funnily enough it was pretty much the same time as I did the North Face 25k in, meaning I managed 7k more in the same time on the flat. Arrived at the race village, caught up with some mates, found out that friends Stuart & Carol won the 32k, Lexxus and Vanja won the 18k and Ben (JRL member!) 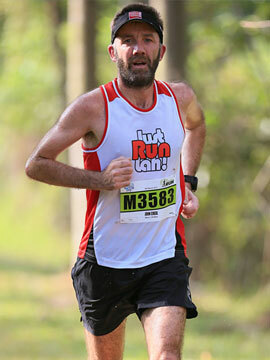 was 3rd in the 18k as well – so lots of congrats throughout the extended group of running mates I am making here in SG. Great selection of food and drinks again (more ice lollies) finished off a really good race for me. 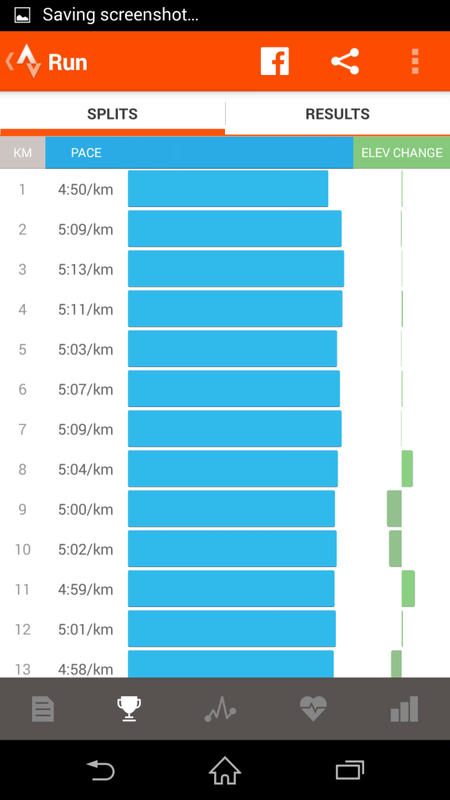 I dont think I would do this distance unless I was entering a marathon shortly afterwards, but as an event I would put this one right up at the top of the list alongside North Face and Mizuno Passion Run – really well managed and executed. Well done buddy! Looking good for a sub-3:30 marathon. hey hey … the reviews are getting better ! but hey, i share the same gripe of having to wake up at ungodly hours for races! Thanks Jason, yes – it was a quiet night in on saturday, but probably also shows I wimped out a bit at TNF. I did not see any gel along the way. Maybe were being finished by the front runners. Hey Bobby – no, I didn’t see any either. I remember looking at the race map and seeing that there was a 32k runners gel station somewhere after the second loop point, but I didnt see it or any signs for it when I was running – so unless the 18k runners had taken them all they can’t have been there, because I was in the first 50 32k runners and I cant think that they were all used by less than 50 people? thanks for the nice review and well done for the timing! Newton Challenge was one of my favorite races of last year.